Nick and JoAnn Pugh are the recipients of the 2018 Leaders in Philanthropy Award for Lafayette Parish, an honor presented by Community Foundation of Acadiana (CFA) and Hancock Whitney, and sponsored by MidSouth Bank. Individually and together, they have volunteered their time and contributed their resources in support of a wide range of charitable organizations, community initiatives and educational institutions. JoAnn is an Abbeville native and a Business Administration graduate of Northwestern State University in Natchitoches. Her passion for gardening has led to her volunteer service in leadership roles with a number of local and statewide horticultural organizations. She is a past president of Lafayette Garden Club, and she and Nick have worked together on the board of directors of Habitat for Humanity Lafayette. JoAnn is also a charter member of Zonta Club of Lafayette and Save The Horse Farm. Nick grew up in Lafayette and graduated in Electrical Engineering from USL (now UL Lafayette). His love of science and engineering has fueled his longtime volunteer leadership of UL Lafayette’s successful picosatellite program. He is a founding member of Acadiana Open Channel and a graduate of Leadership Lafayette Class XXVII. Nick and JoAnn are also avid ham radio enthusiasts. The couple’s success as entrepreneurs in the communications technology industry led them to establish the Pugh Family Foundation (PFF) in 2000. PFF is focused on developing and implementing new and innovative strategies to support students and educators, and especially those working in high-poverty communities. PFF is an active supporter of a number of after-school tutoring programs and non-profit organizations, including Hope for Opelousas, New Hope Community Development of Acadiana, Boys & Girls Clubs of Acadiana, the Lafayette Education Foundation, the Lafayette Parish Public Education Stakeholders’ Council, and One Acadiana. 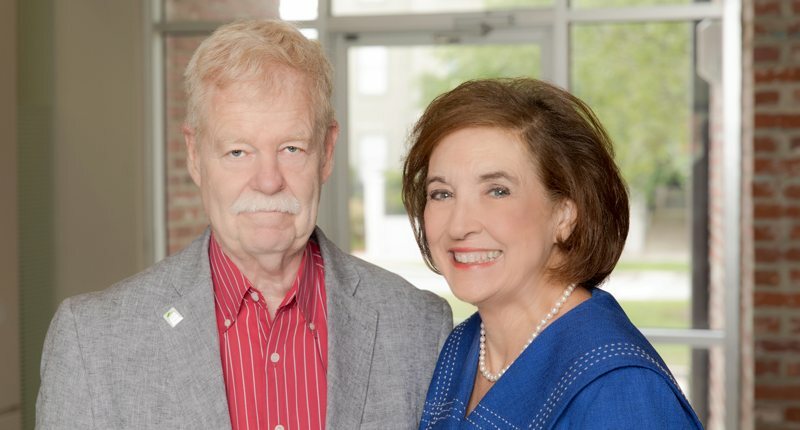 Nick and JoAnn have three children and two granddaughters, and they remain devoted to their dream of helping to foster a world-class public education system for the Acadiana region.